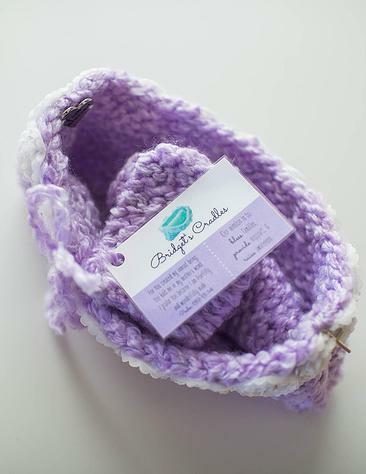 Bridget’s Cradles, a non profit based in the Midwest, is partnering with Women and Infants Hospital in RI to provide knitted or crocheted cradles to offer to families whose babies were born in to Heaven in the second trimester of pregnancy. Do you love to knit or crochet? Do you want to help families who have lost babies? You can help Bridget’s Cradles! You don’t have to be an expert to participate, you just have to be willing. The best part is these are relatively quick to make, so perfect for those wanting smaller projects. The entire process is intention driven, from the decision to join, to the shopping for just the right yarn, to praying for the family that will ultimately receive the cradle as you are making it. It is a beautiful gift of love to provide. To learn more or apply to become a volunteer, visit Bridget’s Cradles online.